Sun & Shade LS Lawn Seed - Greely Sand & Gravel Inc.
Sun & Shade Lateral Spread (LS) lawn seed includes: 30% Kentucky Bluegrass, 30% Creeping Red Fescue, 25% Slider LS™ Perennial Ryegrass, 10% Chewing Fescue and 5% POA Trivialis. Available in an easy-carry 10lb bag! 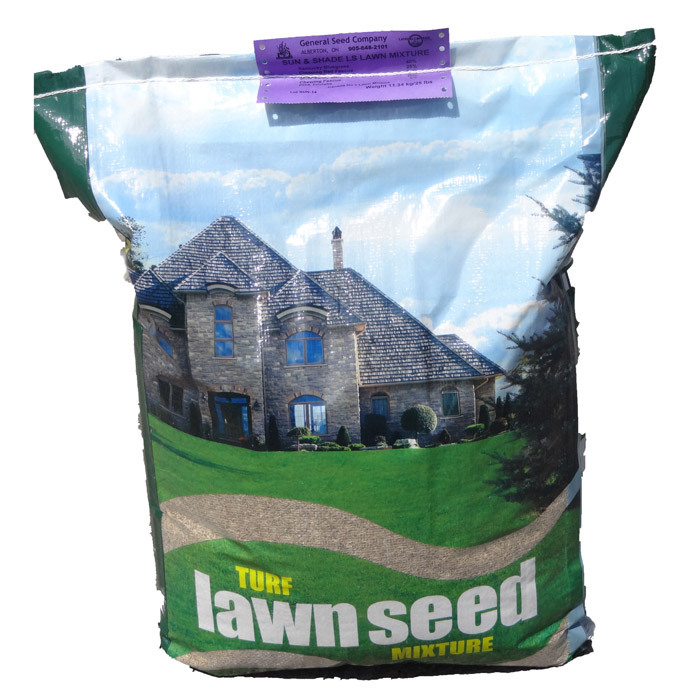 Specially designed & patent protected, this lawn seed provides a unique spreading ability. It has recuperative traits to fill in areas thinned by wear and environmental conditions. Furthermore, it excels in wear tolerance and is dark green in colour. Laterial Spread Perennial Ryegrass spreads through tillers seen above. This spreading ability is the secret to the self-repair ability of LS Perennial Ryegrass.